"I have had this quilt in the works for a few months and finally got to quilt it this week. When I loaded it on my machine I was planning on doing a panto but it kept nagging at me that it deserved some custom work so I gave in! :) Large pebbles and swirls it was! 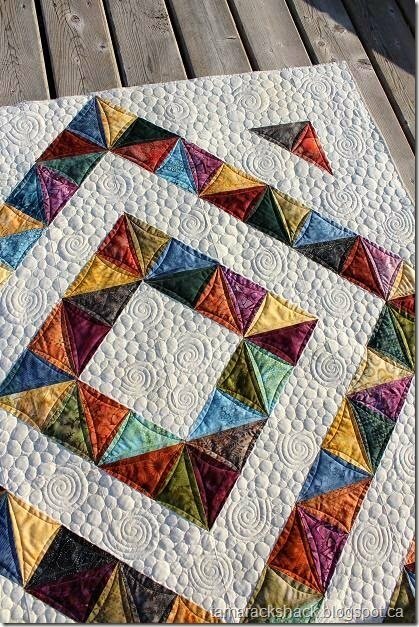 I had made the blocks at a guild UFO day and had a few guild members help me decide on the finally layout as there are so many options when playing with HST style blocks. 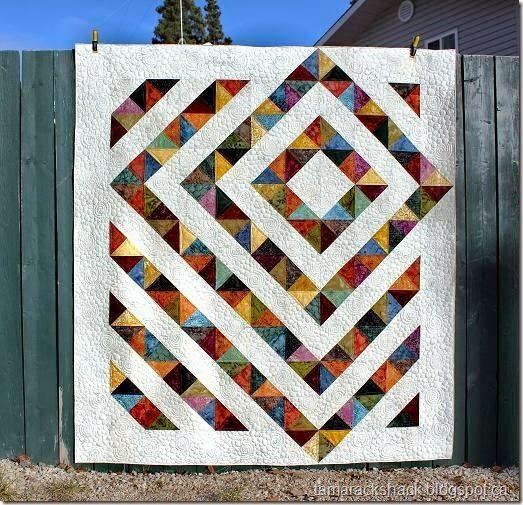 I really like how the blocks are worked into the border and glad my friends suggested it! :)"